I’m Technical Director on the Core Network Engineering and Operations team at our Tampa headquarters office. My primary role is to provide technical guidance to the Network Core Engineering Team on design, maintenance, and problem resolution for Syniverse’s legacy, backbone, and cloud networks. I’ve been at Syniverse for over eight years now. I started as an Advisory System Engineer in the IP Packet Support group, advanced to Senior Advisory Systems Engineer, and, finally, to Technical Director. There are many major network projects in the pipeline for this year. Currently, I’m working with our Cloud Architecture team to further operationalize our environments to support our new development operations teams. What’s one of the most valuable insights you’ve gained during your career in mobile? I think the most valuable lesson I’ve learned in the mobile industry is that change is indeed a constant. In my nearly 22 years as a network engineer, I’ve never seen an industry that is in such a constant state of evolution. What this means for my role specifically is that there is always a way to accomplish any goal. The difficulty in that is knowing if the goal is correct. What’s been your best moment at Syniverse? There have been so many moments and accomplishments that I’m proud of. I think what I’m the most proud of, however, is looking around at my peers who have been here over the last eight years as the network services organizations have transformed into a world-class engineering and operations team. Seeing them promoted to leadership, and seeing them build their own teams of capable, dedicated engineers have been rewarding experiences. I think the best thing about working at Syniverse is that we can and do meet the challenges of this rapidly evolving space. “Boring” is the last word I’d use to describe this job. Tell us about your mobile lifestyle. What kind of phone do you use? I recently upgraded to an iPhone 6S. My current favorite app is AT Hiker. It’s a navigational app for people hiking the Appalachian Trail. It was very useful during a recent section hike I took in the Nantahala National Forest in North Carolina. What’s the longest you’ve gone without using your phone? The pervasiveness of wireless radio networks has increased to such a level that, even in remote locations, I’ve not been without mobile communications for over 24 hours in the last year. My fiancée and I enjoy hiking, camping, canoeing, rafting, cooking and traveling. We take every opportunity we can to explore the world, and mobile communications enables this to a great degree. 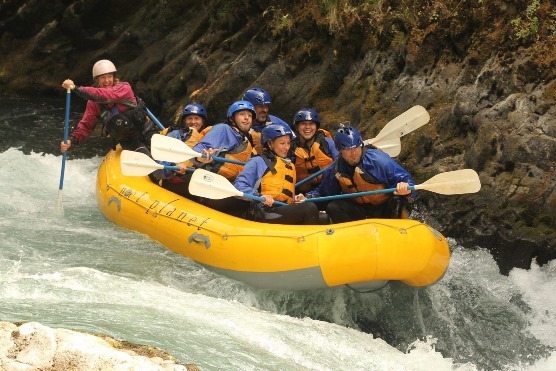 Me (far right, first row) taking on the White Salmon River in Washington state last year with my fiancée, Jill (next to me, left), who also works at Syniverse. 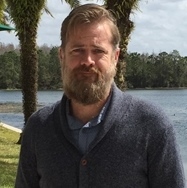 Chris Granger is a Technical Director on the Core Network Engineering and Operations team and works at Syniverse's headquarters in Tampa, Florida. Connecting the world through networking is exciting, and important work. Congratulations on work well done. I wish you and your company much success.